You’d think it was just a toy, until you learn to harness the full power of this animal with just a pinch of table salt. At that point, you’ll realize that the Bug-A-Salt is no child’s play to flies. 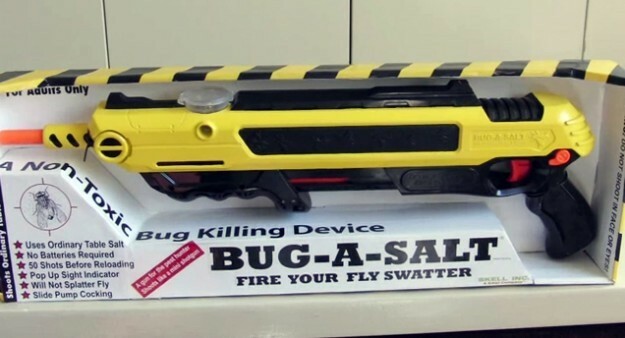 The Bug-A-Salt is a powerful salt gun that will kill any insects that dare to get in it’s way. You can throw away your fly swatter, bug zapper and bug spray from here on out, because the only bug killing tool you’ll ever need is the Bug-A-Salt from Skell Inc. This handy gun will keep you entertained and your home bug free at all times. It’s also a great way to brush up on your shooting skills in the off-season. 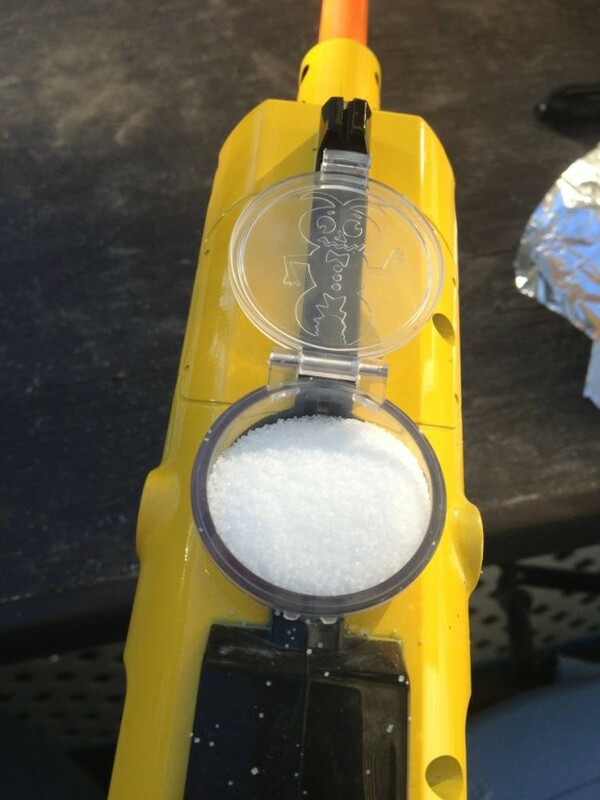 The Bug-A-Salt costs around $40 and is marketed as an “insect eradication device”. We like to think of it as a “hunter’s off-season hobby”, but there are some who may disagree. All you do is load the top of the gun with ordinary table salt and the gun takes care of the rest. One pump and you’re ready to fire. With no compressed air, and only one pump, this gun is able to kill any insect almost and is accurate from 2-3 feet away. A full load of salt will amount to about 50 shots, so you won’t spend too much time re-loading. You can shoot further from 3 feet away, but the salt, like a shotgun has a wider spray. If you want to test the gun’s power, shoot it at a plant and it will certainly leave holes in it. Similar to what it will do to the annoying bugs that frequent your summer barbecues and camping experiences. The Bug-A-Salt will not leave any sort of mess like a traditional fly swatter and is a fun way to rid yourself of annoying insects while brushing up on your shooting skills. Buy the Bug-A-Salt on Amazon here or check out the Bug-A-Salt website. Check out more cool hunting gear on MorningMoss.